I usually shoot Weddings \ Events with a style that captures emotions and intensity of those special days so they last forever. Now I'm wanting broaden my horizon and capture all aspects of photography. I'm a Professional Firefighter in the Central Ohio area and shoot Professionally on my days off. . Lets get started . WILL TFCD on select shoots !! Columbus and Central Ohio Area . If you know anyone needing Wedding and Event Coverage Feel free to refer us . 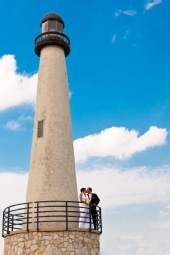 We Cover most of Ohio and do Destination Shoots also to NYC and Florida .